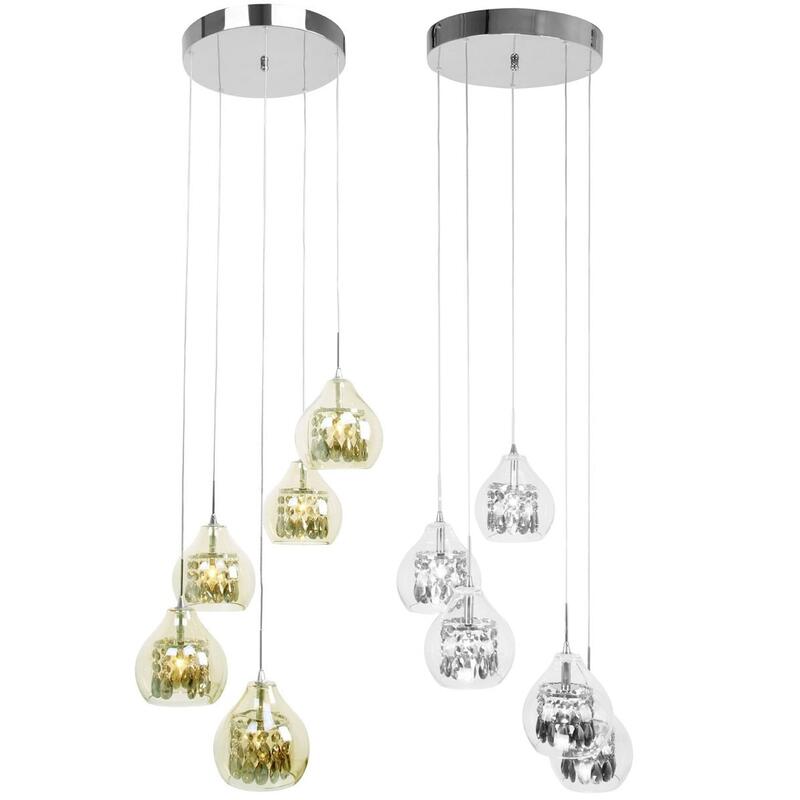 Add a contemporary style to your home by introducing this gorgeous 5 Glass Shades Pendant Light. This pendant light features a fantastic design that's very abstract, it's inspired by an art-deco style and is given a modern and elegant touch. This pendant light has been given an option of a golden or silver colour to make sure it fits nicely in any decor.